These lipstick is ideal for gothic make-up. It looks amazing in combination with a white powder. STARGAZER's cosmetics are not tested on animals! 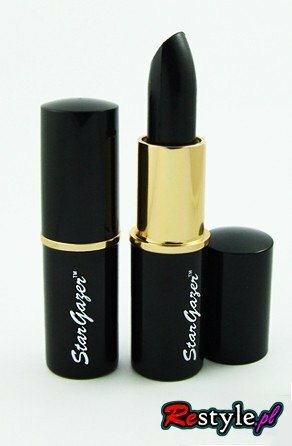 I like Stargazer, it's always a pleasure to wear this lipstick. Hight quality, Good price and Fast delivery! I'm very happy! A wearable lipstick of surprisingly good quality for its price. It is slightly opaque, which I love. The packaging differs from the picture and the color is definitely not deep, as it says in the description. Haven't tried this out myself, as I couldn't sell it again if opened. But I have been looking everywhere for lipstick for my Gothic customers, at a good price. So I am pleased. Stargazer is one of my top fave brands of cosmetics. They never let me down, and this black is awesome! Plus restyle is the best alternative site EVER!